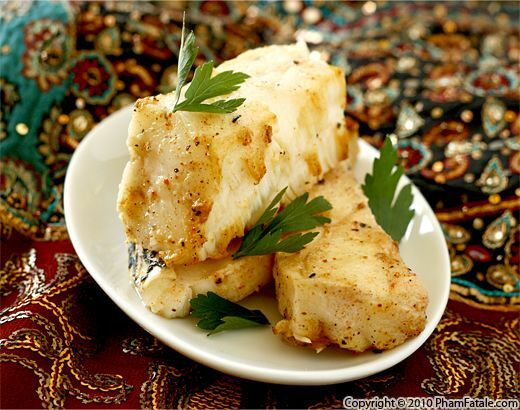 Haddock is a very popular white, firm-fleshed fish, but it can be bland if not seasoned properly. 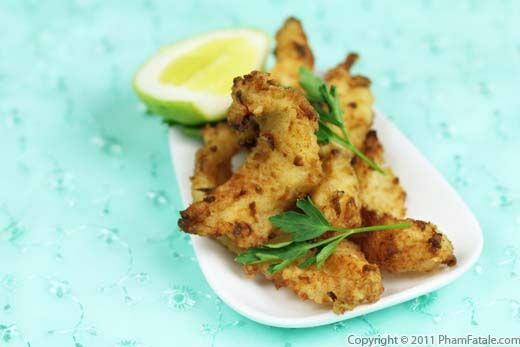 To enhance the flavor, I marinated haddock fish in white wine, ginger, lemongrass, red chili powder and crushed garlic. The fish was lightly coated in a little flour, then pan-fried until golden brown. It came out beautifully moist and wonderfully fragrant. I served it with vegetable couscous, but it makes the best filling for fish sandwiches as well. I absolutely love fried seafood. I probably eat it more than I should. I have a few recipes that I always turn to when I need a fix, and this is one of my favorites. I always have to be careful whenever I cook seafood so I don’t scare off the vegetarians in my home. This particular fish doesn’t send them running for the hills, so it’s a perfect compromise. Fish can have a strong taste, depending on the kind of fish and how it's prepared, which often necessitates a counter-balance of flavor. Horseradish sauce ("sauce au raifort" in French) is an excellent option. Horseradish gives a depth of flavor to almost any fish due to its subtle tinge of heat, when added in small quantities. Whether you pair the sauce with a simple fish preparation cooked in butter, fish en papillote or steamed fish, this delicious horseradish sauce will be the highlight of your entrée. I decided to serve it with fish sauce. You could also accompany the fish with spicy Indian-style salsa (called kachumbar) or a French sauce I often love to pair with fish, called sauce au raifort (horseradish). We hosted a dinner party this evening. I served a surf and turf main dish composed of a steak and sea bass. I really wanted to find a decadent, over the top kind of fish for this special evening. Sea bass seemed like the perfect choice; it's a lean fish with a meaty texture and a rich, buttery taste. I glazed the fish with hoisin and miso. 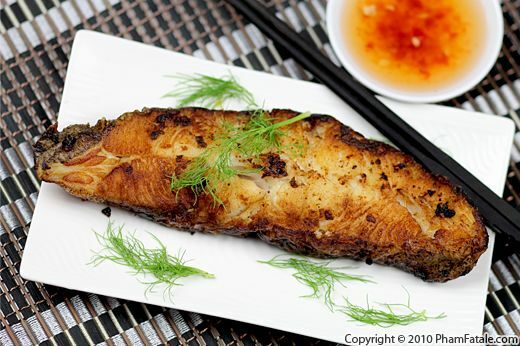 The firm white fish pairs very well with the sweet and salty glaze. I quickly seared the fish on top of the stove to create a caramelized crust around the fish and finished roasting it in the oven. 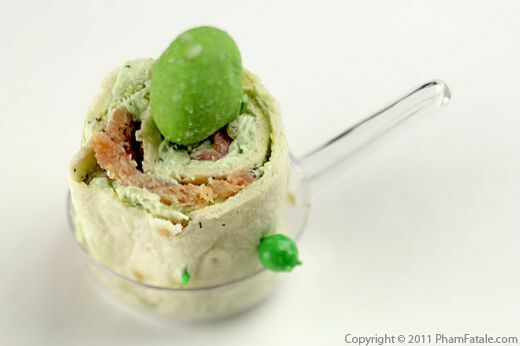 This dish took me down memory lane, back to when Lulu and I were preparing for our wedding reception. I remember this particular hoisin glaze was one of the options we selected. Page 5 of 13 pages.